We believe that children all around the world should have access to a safe place to play. A place that allows them to learn the values taught by sport. A safe environment where honesty, respect, hard work, teamwork, and fun merge together and are rewarded. Connor Sport Court is dedicated to helping build that place, that safe environment to nurture children’s dreams and to tell them…you are great. Through our Courts for Communities program, we partner with non-profit organizations to enhance their impact in the community. Employee Support: Our employees love to get physically involved in making a difference. From consulting with non-profits on space design, to installing a futsal court in the middle of Afghanistan, we know that our expertise in building courts can help. Funding Support: Play areas are useless without community buy-in. Each year we work with organization to identify court funding opportunities. We also have a suite of tools that help the community raise money to build a safe play space. Programing Support: Once your place is built or outfitted, it is crucial to have programing to engage the kids and teach them values. We work with a number of groups who can provide programing information. For More information on how we can support your safe play initiative, please e-mail Courts for Communities. With the DreamCourts program, Nancy Lieberman has fulfilled her dream of collaborating with WorldVentures Foundation and Sport Court to build high-quality basketball courts in disadvantaged areas, with minimal material expenditure or construction costs. The goal of the DreamCourts program is to provide children in underprivileged communities with a safe area to play basketball, participate in free basketball clinics, interact socially, and learn important lessons about teamwork and good sportsmanship. In 2014, Sport Court began an annual court award program to award an NGO or non-profit using Sport for Development with a new, safe place to play. This year's award winning foundation uses sport to pull kids from the streets. Sport Court will award a Sport Court game court surface to the organziation to help them build a new place to play. Sport Court teams up with Beyond Sport to deliver legacy projects in communities focused on Sport for Development around the globe. 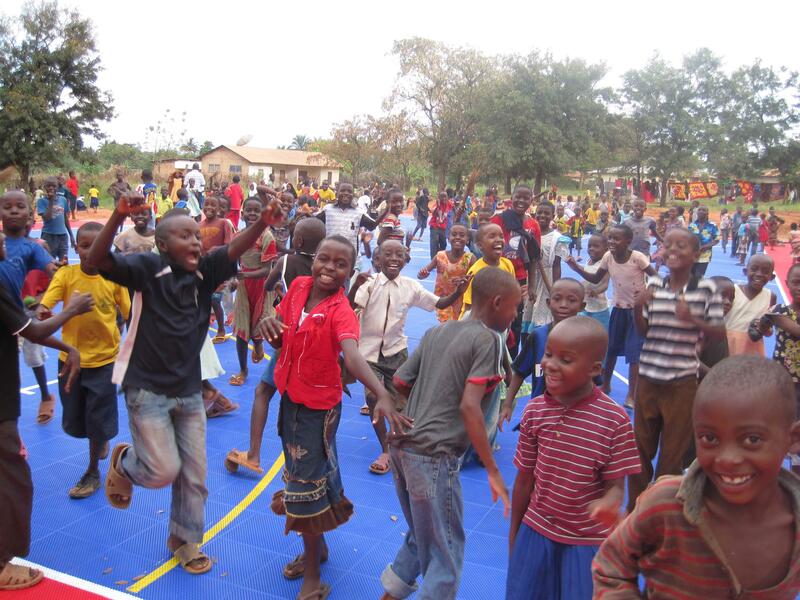 This project, in Tanzania, created a safe place for kids to play and a place for the community to gather. "On this court you will have a chance to learn life skills which will help you through your journey into work and family life," Beyond Sport founder Nick Keller. ReImagine Tennis ©2019 All rights reserved. Powered by SquareHook.